JMD Plastoware is a name to reckon with in the plastic industry. 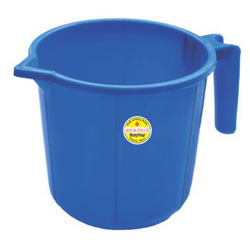 We are famous for the variety of products that we offer. 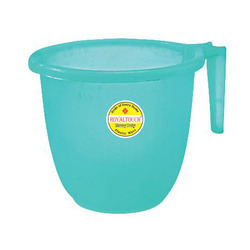 Amongst other products we are also into manufacturing of superlative bath mugs. Our Jumbo Bath Set is an attractive and fancy looking bath range, which has gained popularity over the years. They are made from transparent plastic and have a striped surface. Available mostly in white/pearl color they consist of one unit each of the following products. Frosty Basin: Bath tub with a basin shape. frosty surface with designer finish. 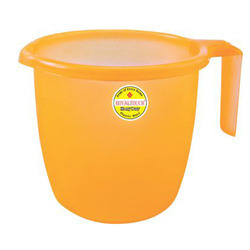 Available in a sizes of 20 litres and 15 litres. Product code: T- 15 ,T-20 & T-25 respectively.